knit dress worn with OTK boots, plaid jacket and beige bag. The weather this winter is literally all over the place. The unpredictable weather can make dressing up a little cumbersome, however there are a few looks that will work in cold to moderately cold weather, and today’s look is one of them. 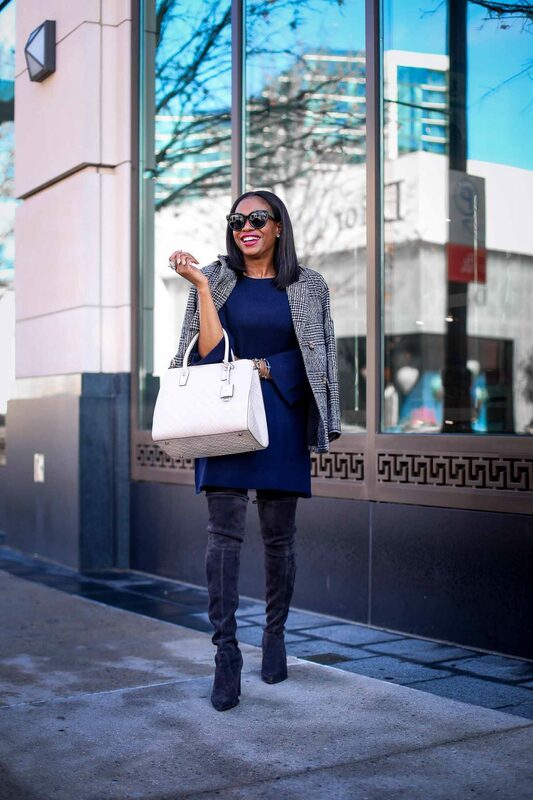 This outfit of the day features the classic knit or sweater dress. 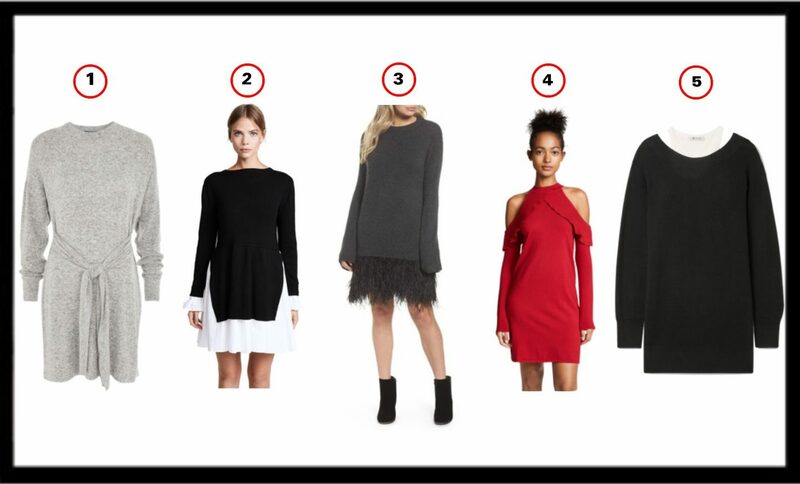 Mini knit dresses are always on trend. They tend to adopt features of the hottest styles of the season. In this instance this dress features the bell-sleeve which is still a major fashion trend. The length of the dress makes it a great match for my OTK boots. 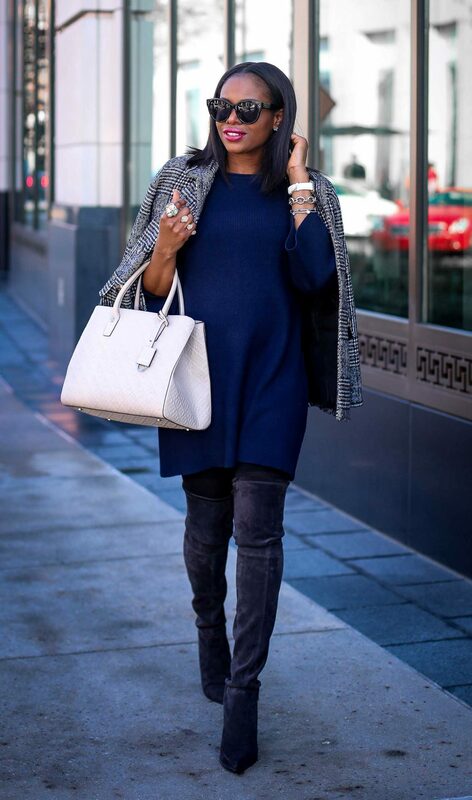 The boots are stylish and keep your legs warm, hence making them a winter fashion must-have. 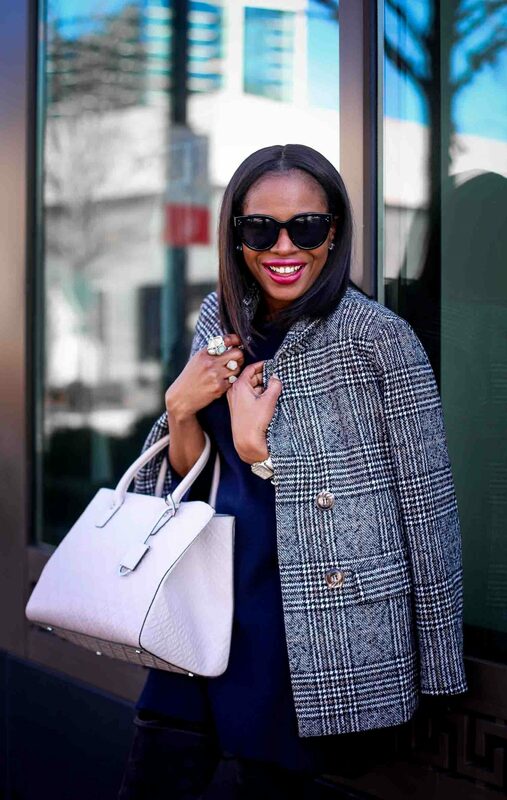 A plaid double-breast coat, and a beige tote pair perfectly with the knit dress and complete the look, making this the perfect winter look of the day.